The America's Cup....what a race, what an experience. Teams from the world over, trained in using their natural talents and leveraging the power of the wind and water, compete with each other in 72' catamarans in high speed races to capture the cup. The races began in 1851, and pre date our modern Olympics, making this the oldest trophy up for grabs internationally. 2013 finds us in our 34th cup, which mathematically might cause some confusion. 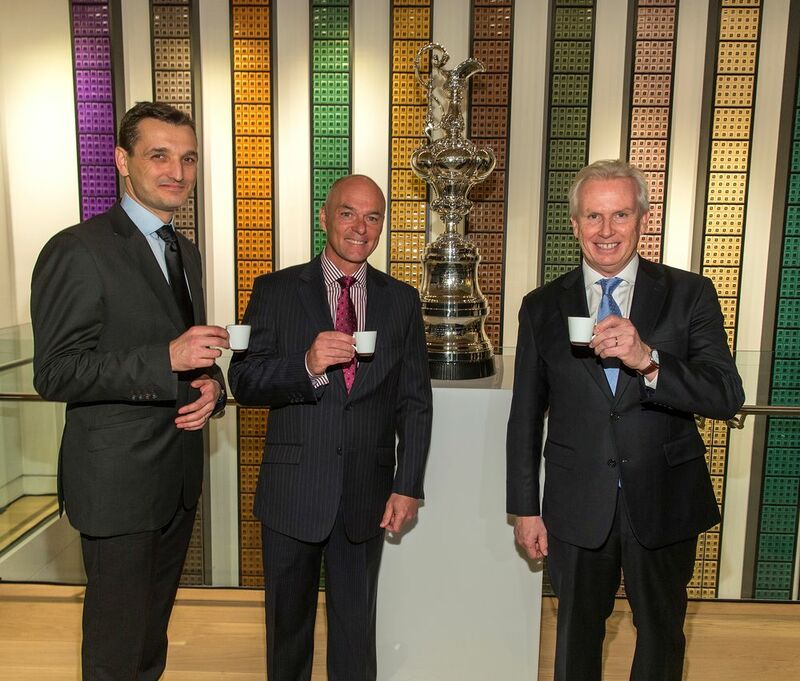 See the America's Cup is one of the most fascinating trophies to attain. over by the commissioner of baseball, this organization sets the rules for the leagues which are divided into American and National. They set the dates for the matches, the schedules, etc. However the leaders of the American and National leagues then set the rules for their groups of teams. The Designated Hitter position is a good example of how these vary. However, the America's Cup is ruled entirely differently. The winner of the previous race determines the rules for the next one. The dates, the location, even the boats they'll use. The American team, sponsored by Oracle, won the 2010 race in Spain. They determined that the next location would be in San Francisco, CA, in 2013, and that their boat of choice would be the incredibly fast, and much more technical AC72. This new boat uses a smaller 11 person crew, and is powered by a wing sail of approximately 37 meters. Now, you might be wondering why I'm giving you a small lesson in sailing, when you all know I'm food obsessed. My friends at Nespresso, the incredible coffee purveyors I've been waxing on about for over a year, sponsor the United Emirates team, as well as the official coffee of the America's Cup. 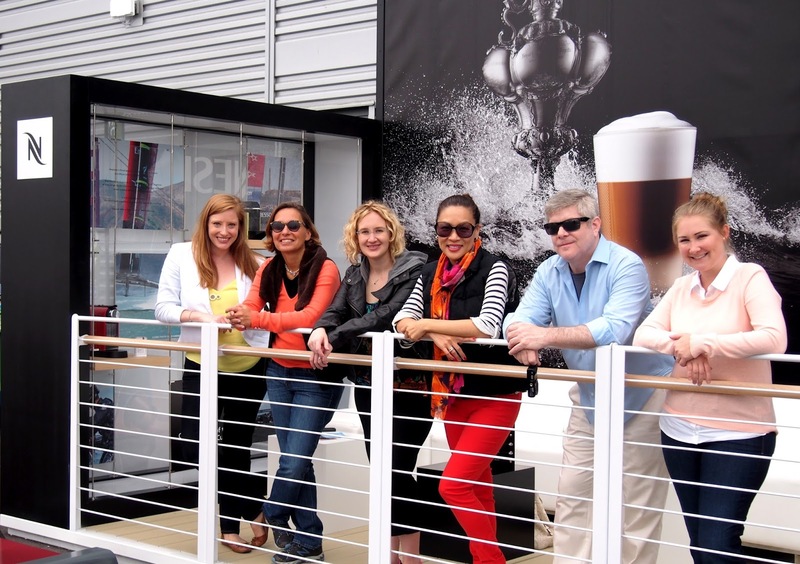 Your 2013 Nespresso Blogger Ambassadors! So what's the connection? Quality. 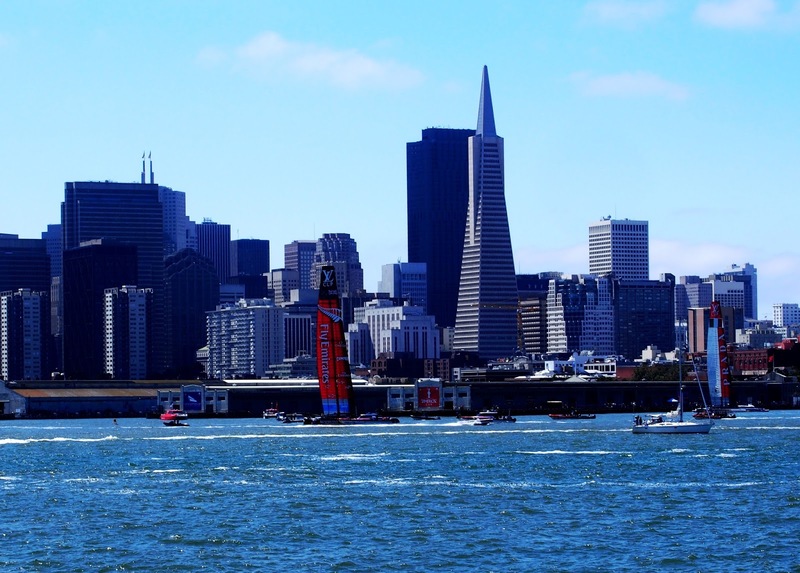 The America's Cup symbolizes true team work, excellence in technology and striving for the best. These are the same values that are a part of every cup of Nespresso coffee. The team work of coffee bean growers, the sorters, the roasters, the tasters...every effort from every person goes into making the perfect cup of coffee, just as every effort from every athlete, strategist to grinder, pulls together to push forward and win the race. The final races of the America's Cup kick off September 7, 2013 and they will focus on the defending champion the Oracle Team USA, and the winner of the Louis Vuitton cup, the races of which are on going in San Francisco right now. I was able to attend two races last week, where the Nespresso Team New Zealand took a commanding lead. These will be races to watch! Editor's Note: Team New Zealand DID IT! 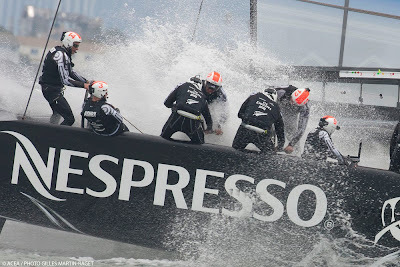 They are in for the official America's Cup races against Team USA!